Place an amazing Accordion (5 different Accordion Styles) in post/page/portfolio post. Please follow below steps to use “Accordion” shortcode. Step 4: Click on Brando tab, it will show all shortcodes of Brando theme. Now click on “Accordion” shortcode. 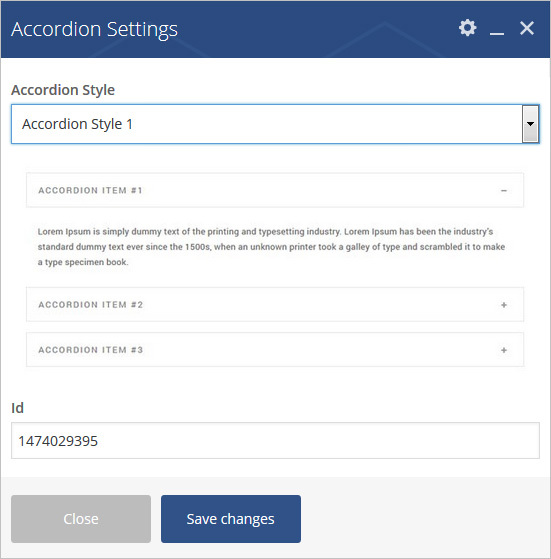 Step 5: Follow below inputs/settings to set “Accordion” and go to next step to add accordion slide. Accordion Pre-define style – Select Accordion style from 5 pre-defined styles. Each style has preview image, it will help you to select best style you like. Id – It is accordion auto generated id, you can change it if you wish. Step 6: Click on “+” button as show in below image to add accordion slide. Step 7: Click on “Add Accordion Slides” as showing in below image. 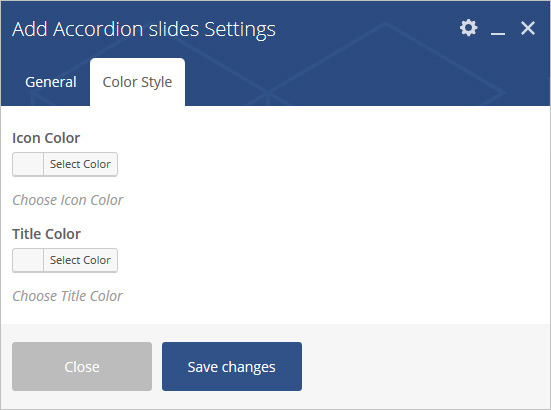 Step 8: Follow below inputs/settings and see “Accordion” preview in frontend. Active Slide – Select “Yes” to make this slide as active. 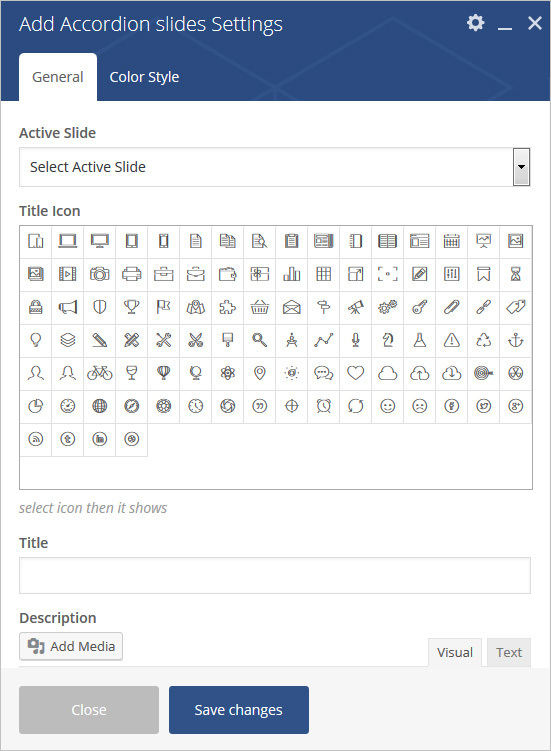 Title Icon – Select Icon from pre-defined list of icons.